The anti-government protests in Iran, that started on Thursday, saw their most violent night on Monday as "armed protesters" tried to overrun military bases and police stations before security forces repelled them, according to state television. These demonstrations are the largest to strike the country since its disputed 2009 presidential election. A semi-official news agency in Iran is reporting that 450 people have been arrested over three days in Tehran since Saturday, according to AP. Small groups of protesters ran through the streets of Tehran on Monday evening, before a heavy police presence restored calm, local agencies said. The unrest remained focused on provincial towns and cities, although fewer videos on social media suggested less activity in many areas. The demonstrations have seen five days of unrest across the country and a death toll of at least 13 with the slaying of a police officer announced late Monday. 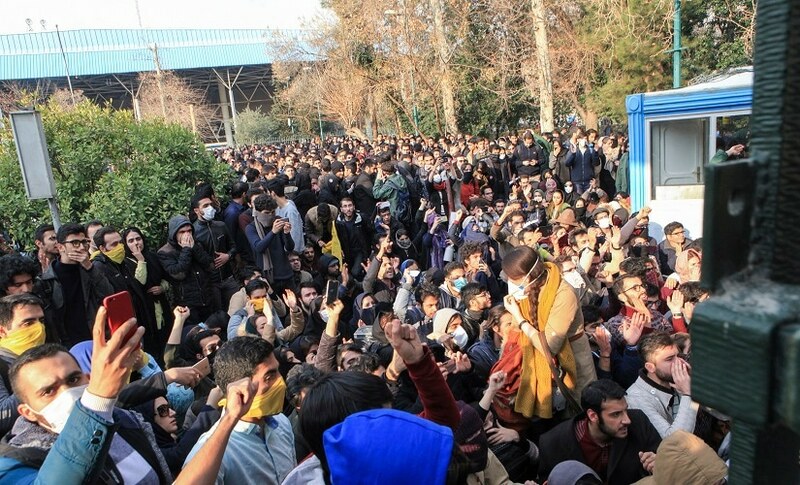 The latest protests came despite President Hassan Rouhani's vow that the nation would deal with "rioters and lawbreakers". Slogans such as "Death to the dictator" could be heard throughout the protests. The Guardian reported that videos posted on social media from Tehran showed protesters taking down banners depicting Rouhani. These protests are fuelled by disappointment that the lifting of sanctions on Iran in January 2016 has failed to deliver an economic boom. The demonstrations began Thursday in Mashhad, Iran's second-largest city and the home of a famous Shiite shrine. The city is a conservative bastion and a stronghold of Ebrahim Raisi, a cleric who unsuccessfully challenged Rouhani in last year's election. 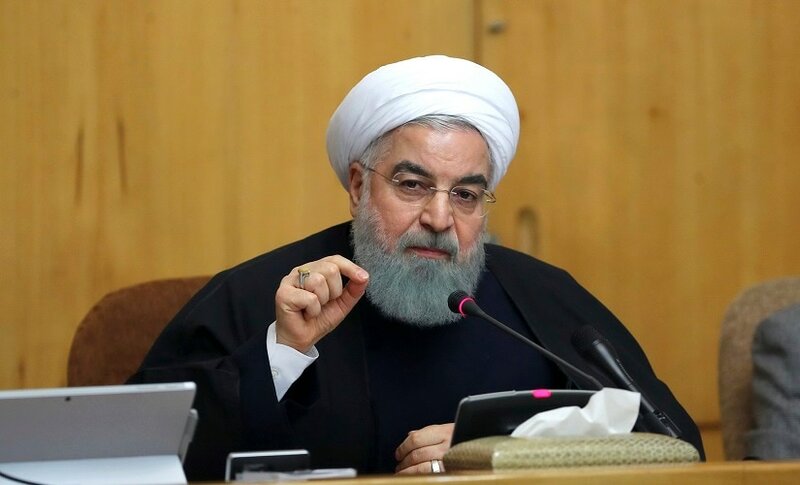 Analysts suggest conservatives began the protests there as a means to pressure Rouhani, a relatively moderate cleric within Iran's theocratic government, according to AP. The protests then rapidly spread throughout the rest of the country of 80 million people. Iranians vented their anger over a sharp increase in prices of basic items like eggs, and a government proposal to increase fuel prices in next year’s budget. Some protesters also vented their rage over high unemployment and savings that were lost after investments in unlicensed credit and financial institutions turned sour. The demonstrations, initially focused on economic hardships and alleged corruption, turned into political rallies. Anger was soon directed at the clerical leadership in power since the 1979 revolution, including Supreme Leader Ayatollah Ali Khamenei, the ultimate authority in Iran’s system of dual clerical and republican rule. Reuters reported that Iranians across the country want higher wages and an end to alleged graft. Many also question the wisdom of Iran's foreign policy in West Asia, where it has intervened in Syria and Iraq in a battle for influence with rival Saudi Arabia. The country’s financial support for Palestinians and the Lebanese Hezbollah also angered Iranians, who want their government to focus on domestic economic problems instead. How has the Iranian government responded? Rouhani tried to dismiss and downplay the protests taking across the country. 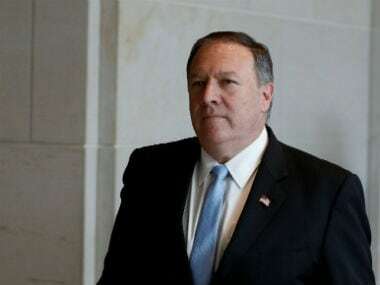 CNN reported that in a meeting with Iranian members of parliament on Monday, he said, "Our great nation has witnessed a number of similar incidents in the past and has comfortably dealt with them. This is nothing." "Our nation will deal with this minority who chant slogans against the law and people's wishes, and insult the sanctities and values of the revolution." While acknowledging that Iranians have the right to protest legally, he urged for national unity, the CNN report said. On Sunday, Iran blocked access to Instagram and the popular messaging app Telegram used by activists to organise. According to the BBC, restrictions to access Telegram and Instagram apps were imposed to 'maintain tranquillity'. In Iran, Telegram and Instagram, as well as Twitter, have been instrumental in sharing information when traditional media outlets are tightly controlled by the government. Protesters have been extensively using Telegram and Instagram to organise and promote the offline demonstrations. Iran has also warned that protesters will "pay the price" after mass demonstrations across the country took place in which dozens were arrested and official buildings attacked. Police also arrested 52 people after Thursday's protests, the semi-official news agency Fars quoted a judicial official as saying in Mashhad, according to Reuters. In social media footage, riot police can be seen using water cannon and tear gas to disperse crowds. How did other countries respond? US president Donald Trump, who has repeatedly criticised Tehran over demonstrations, said it was "time for a change" and that Iran's people were "hungry" for freedom. He also condemned the arrest of protesters in Iran, telling Tehran that "the world is watching". He tweeted, "Many reports of peaceful protests by Iranian citizens fed up with regime's and its squandering of the nation's wealth to fund terrorism abroad." The European Union Monday pushed Iran to guarantee the right to protest and separately British foreign secretary Boris Johnson said "the UK is watching events in Iran closely". "We believe that there should be meaningful debate about the legitimate and important issues the protesters are raising and we look to the Iranian authorities to permit this," Johnson said in a statement. 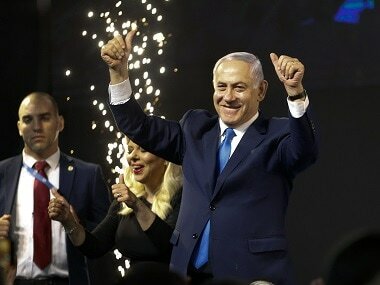 Israeli prime minister Benjamin Netanyahu praised Iranian anti-government protesters on Monday, while denying as "laughable" Tehran’s apparent accusations that Israel was behind the demonstrations, according to Reuters. "Brave Iranians are pouring into the streets. They seek freedom. They seek justice. They seek the basic liberties that have been denied them for decades. 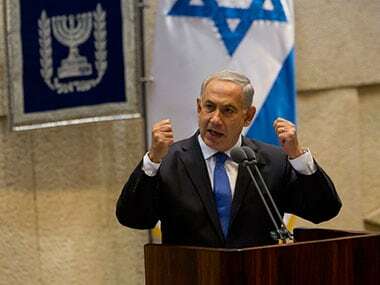 Iran’s cruel regime wastes tens of billions of dollars spreading hate," he said. On Monday, Rouhani was quoted by state media as apparently blaming Iran’s arch enemies, the United States and Israel, for provoking unrest. 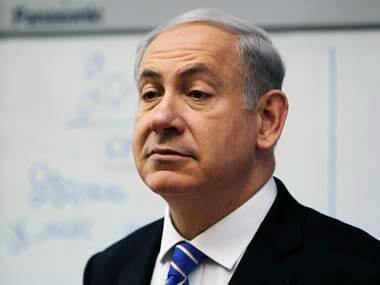 German foreign minister Sigmar Gabriel also said in a statement that "after the confrontation of the past days it is all the more important for all sides to refrain from violent action," according to AP. Meanwhile, the Russian foreign ministry said that any external interference in the situation is unacceptable, reported IANS.